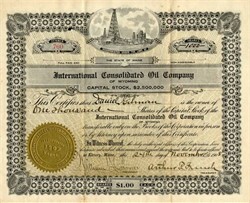 Beautiful certificate from the International Consolidated Oil Company issued in 1908. 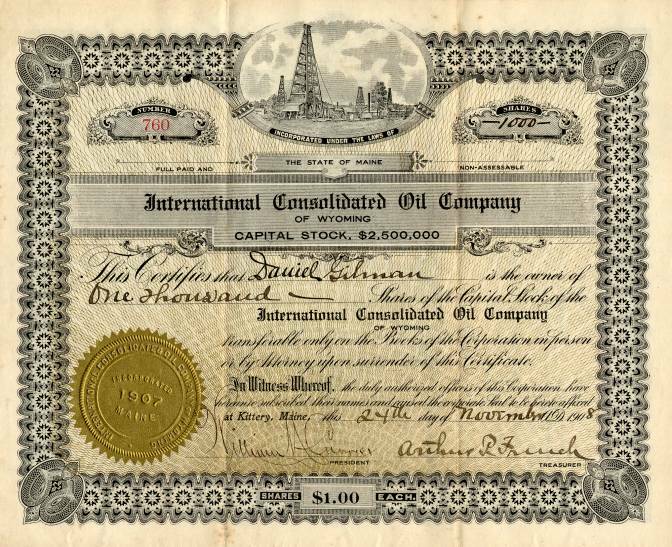 This historic document has an ornate border around it with a vignette of oil drill. This item has the original signatures of the Company's President, Arthur P. French and Treasurer, and is over 105 years old.